ST. GEORGE – Just as Ironman 70.3 descends upon Southern Utah the first weekend in May, so, too, does another event. It doesn’t happen in St. George only, but across the nation and the world wherever there’s a comic book store taking part in Free Comic Book Day. Free Comic Book Day started in 2002 and has grown to become a major event in the comic book industry, providing a way for potential comic book fans to discover the origins of some of today’s popular television and movie franchises. TV series like “Arrow,” “Flash,” “Agents of SHIELD,” Gotham” and “The Walking Dead” each have their origins in comic books. 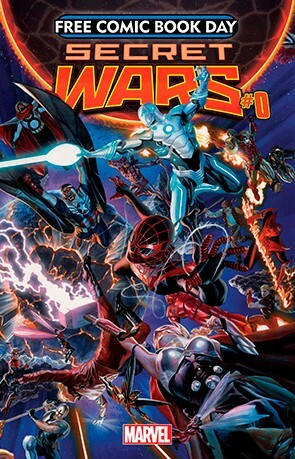 Popular movie franchises in the Marvel Cinematic Universe – “The Avengers,” “Iron Man,” “Thor,” “Captain America” and “Guardians of the Galaxy” – as well as Superman and Batman movies, are each taken from the pages of Marvel Comics and DC Comics. Last year Roland held a “mini-Comic-Con” at his store for Free Comic Book Day, but this year, he said, the event will be more low-key, as he’s dedicated his energies to helping prepare for other events, such as the upcoming Washington County Fair. Among the titles available on Free Comic Book Day will be offerings from Marvel Comics and DC Comics, tying into their upcoming big event stories of “Secret War” and “Divergence.” A plethora of independent comic titles will also be available. 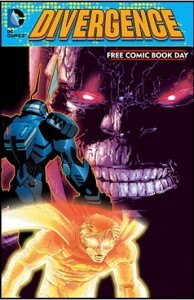 A list of titles offered on Free Comic Book Day, along with PDF previews, can be found on the Free Comic Book Day website under “The Comics” link on the menu. In addition to free comic books, Roland said, there will be a huge discount sale in the store; costumed characters; and all-day gaming events that include tabletop games, board games and video games. “We have a big surprise planned for some old-school video game fans of Nintendo and Nintendo 64,” Roland added. When: Saturday, May 2 | 11 a.m.-6 p.m.